If you’ve visited this blog more than once or twice, you may be aware that the Hubs and I like to celebrate anniversaries. 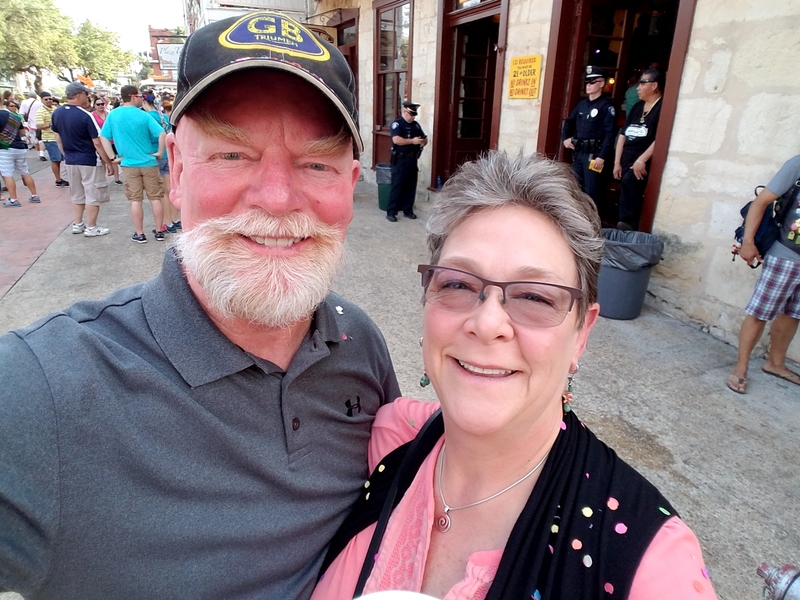 We have enjoyed our “dating anniversaries” for many years, a number of times in San Antonio, where we met, and this year was no different! Except this time I’ve coined a new corny term! 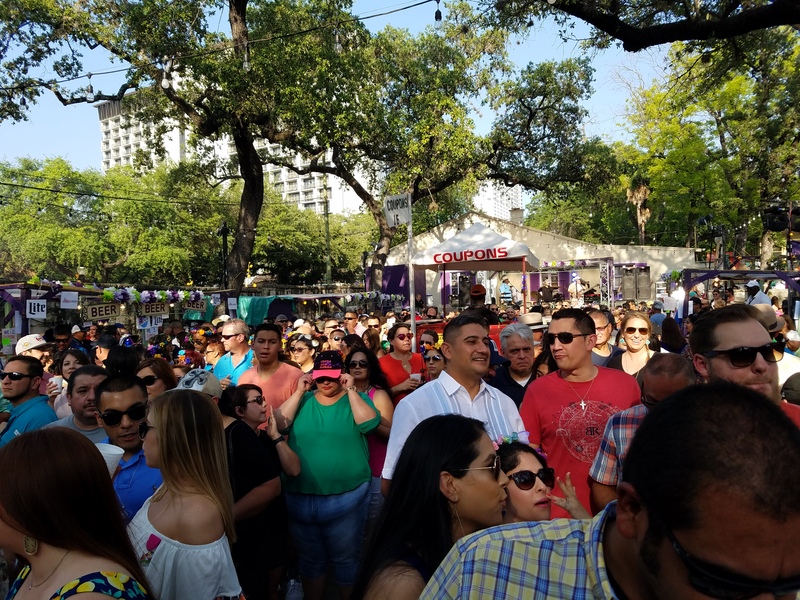 Late April is the 10-day party in San Antonio known as Fiesta, so of course we chose it as the kickoff to our RV trip this spring. 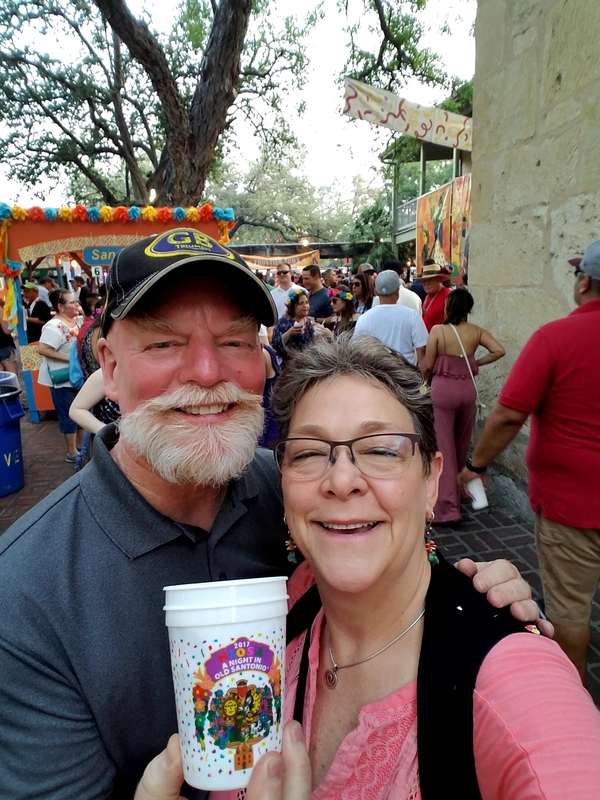 It’s not a coincidence that our relationship started during Fiesta 22 years ago, so we decided to bring it full circle, back to “Night In Old San Antonio” or NIOSA, to mark the beginning of our lives together! A quick look back; I lived in San Antonio for 11 years, beginning in 1984, and met Jerry through a mutual friend, in 1994. He was working at his company’s HQ for a two year period, before returning to Atlanta. We actually double dated once with our (then) respective others then lost touch. This year, we decided we had to brave the last, and craziest, night at NIOSA on our dating anniversary, Friday, April 28th! On arrival, with no crowds yet, we were able to buy our cascarones and beers with ease. 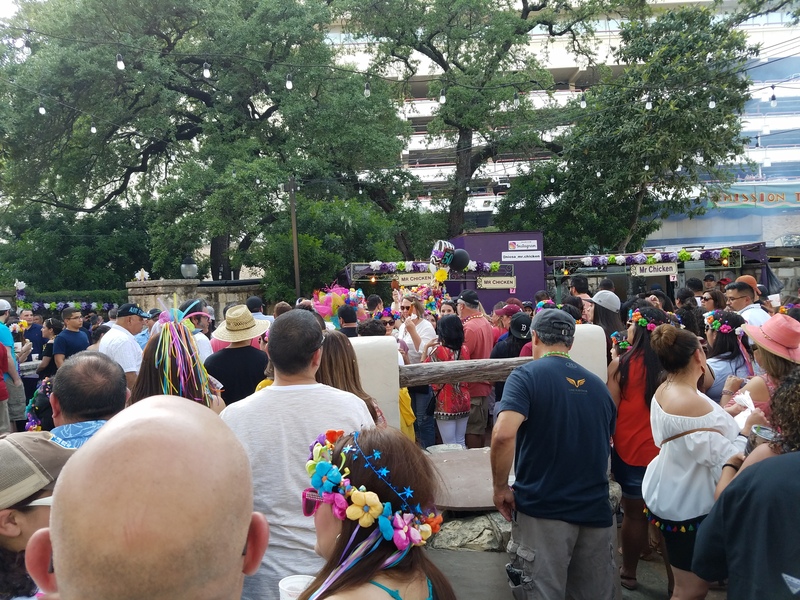 The Fiesta tradition of cascarones is a big part of the fun! 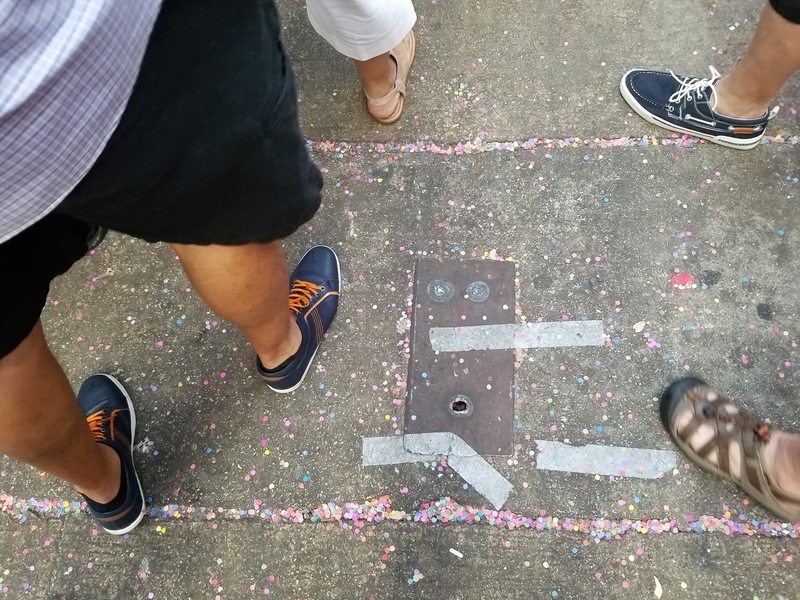 They are colorful egg shells filled with confetti and sealed again with thin paper, and then cracked over the heads of friends and loved ones. Always amusing to find it all over your floor the next morning! Not our floor, but you get the idea! 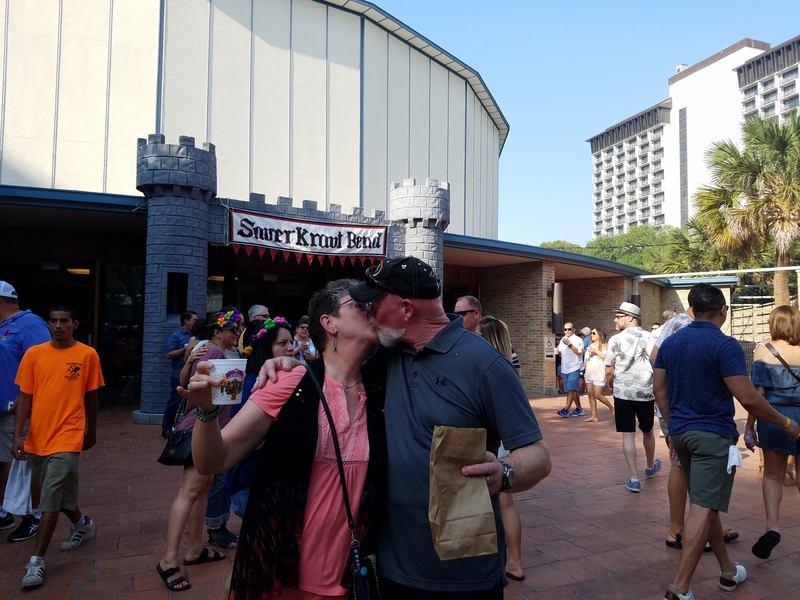 We went straight to Sauer Kraut Bend to commemorate our special date before dark and found some cheerful partiers who were more than happy to snap a couple photos for us. Following our sentimental photo op 💕 we headed for our favorite NIOSA treat. 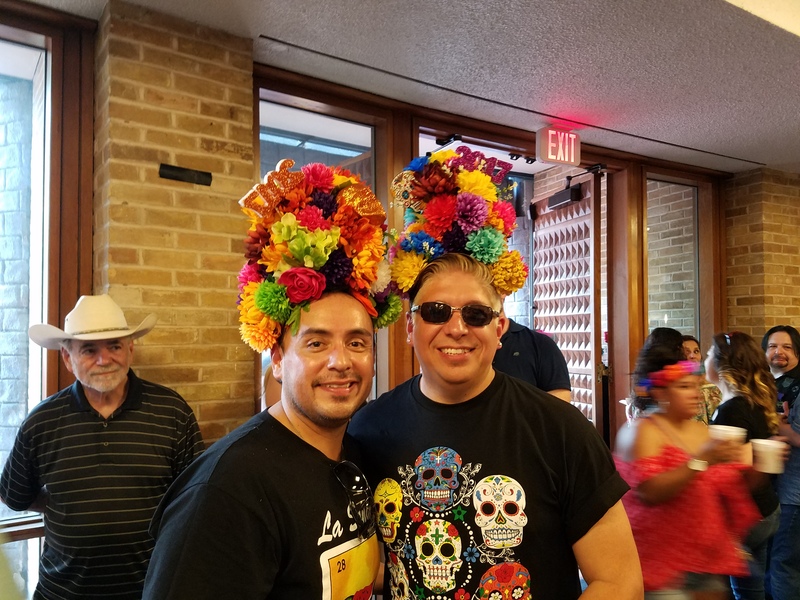 But before we get to that, let me share another Fiesta tradition, incredible HATS! And the wearers are happy to pose! Anyway, back to our favorite NIOSA food. 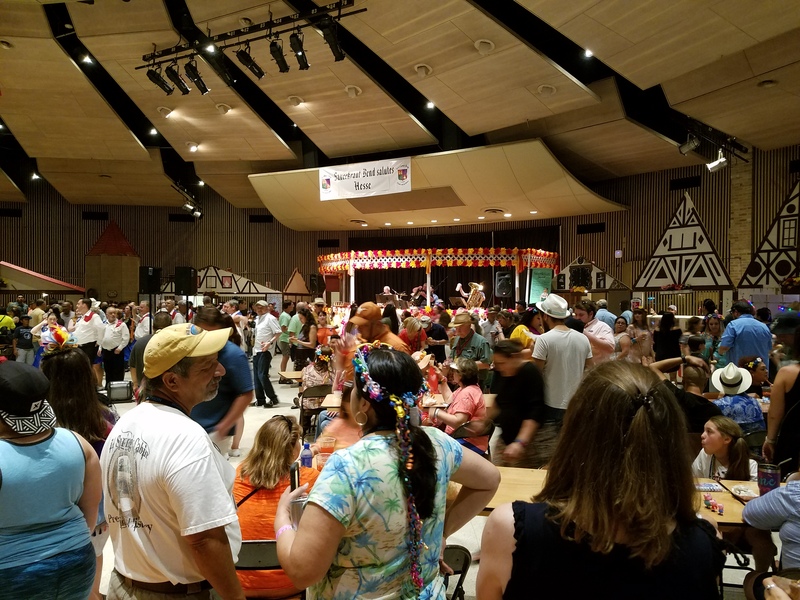 Even on a less busy night, the lines are epic, so we steeled ourselves for a wait…fortunately there are beer booths very close by! Picture, if you will, 8 to 10 lines across, with 30 or more people in each line, constantly moving and jockeying for position. All in good fun of course! So, having sated our chicken craving, we wound our way through several cultural “regions” with fun names like Froggy Bottoms, Irish Flats, and South of the Border, back to (you guessed it) Sauer Kraut Bend! 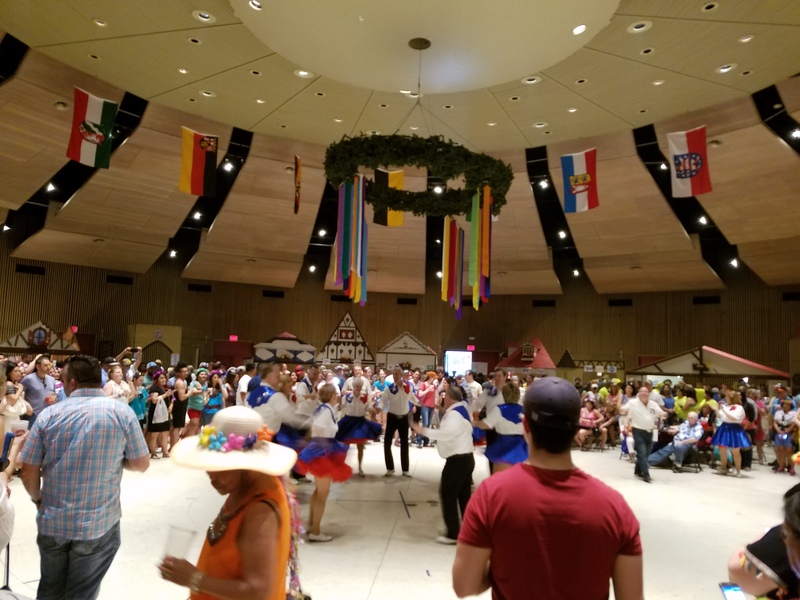 Inside the German pavilion is a riot of music, food, beer and dancing, from cloggers to the chicken dance. A wonderful time was had, anniversary was celebrated, and this is our “after” pic! Only a little worse for wear! 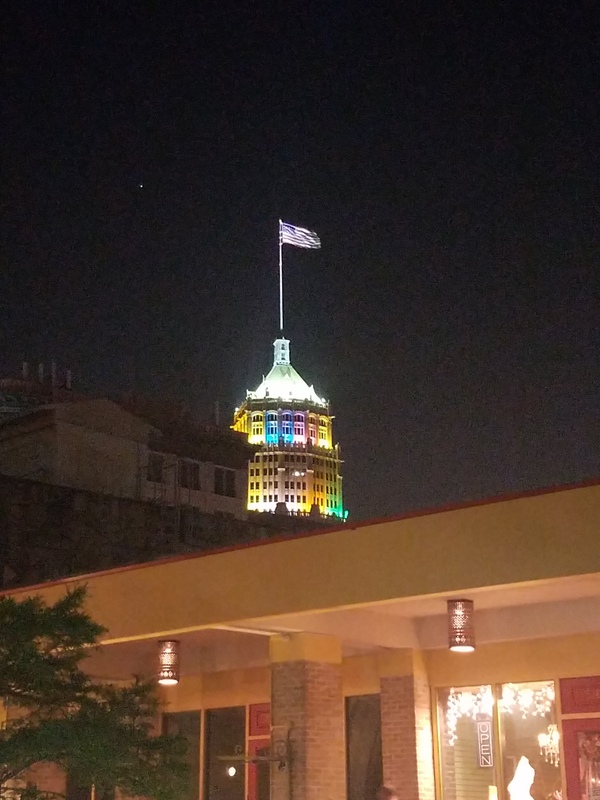 I will leave you with a photo that really shows the Fiesta spirit in San Antonio, the Tower Life building in colorful splendor. Wonderful! I would love to do that sometime!! Thanks for sharing, Lynne, and happy anniversary! Thanks Kat! It was so fun, but you must love crowds to go to NIOSA, especially on Friday night! What a fabulous way to celebrate your Dataversary! Congrats you too! Thank you Brandy! It was a hoot! Well that looked like a really fun date!! Isn’t amazing the way some things work out. What a great recap of Fiesta and NIOSA. Happy anniversary you two, looks like you had a great time. I want to go just so I can make and wear one of those crazy hats. That would be so fun!! Thanks for sharing. Thanks for commenting! And yes, the hats are fantastic! A little late but happy Anniversary! Sounds like a good way to celebrate! Thanks Richard, it was a hoot! Your joy is our joy, young lady, so thank you for sharing this momentous occasion. Your posts are always overflowing with joy and a zest for life.